In 2009, we discussed the need to both treat rheumatoid disease and manage its symptoms. Modern disease treatments may suppress the disease for some people, but there are usually remaining symptoms that we called “leftovers.” So, we made a distinction between two kinds of medications: disease treatments and symptom-treating medicines. Once upon a time, symptoms like pain were always treated – because they were the only things we could treat. Doctors used the Treatment Pyramid to slowly progress to more aggressive treatments for Rheumatoid Arthritis / Rheumatoid Disease. They started with anti-inflammatories like ibuprofen or aspirin to treat symptoms. Next, they moved on to prescribing steroids like cortisone shots or prednisone. Eventually, when symptoms worsened, doctors recommended more aggressive treatments such as DMARDs (disease modifying anti-rheumatic drugs like gold, Plaquenil, or methotrexate). Back then, people with rheumatoid disease (PRD) used symptom treatments when needed, however effective they were. However, most PRD were not prescribed DMARDs, especially early in the disease process. But that changed with the advent of new medicines and newer Treat to Target models. Nowadays, PRD are often prescribed DMARDs promptly after diagnosis. 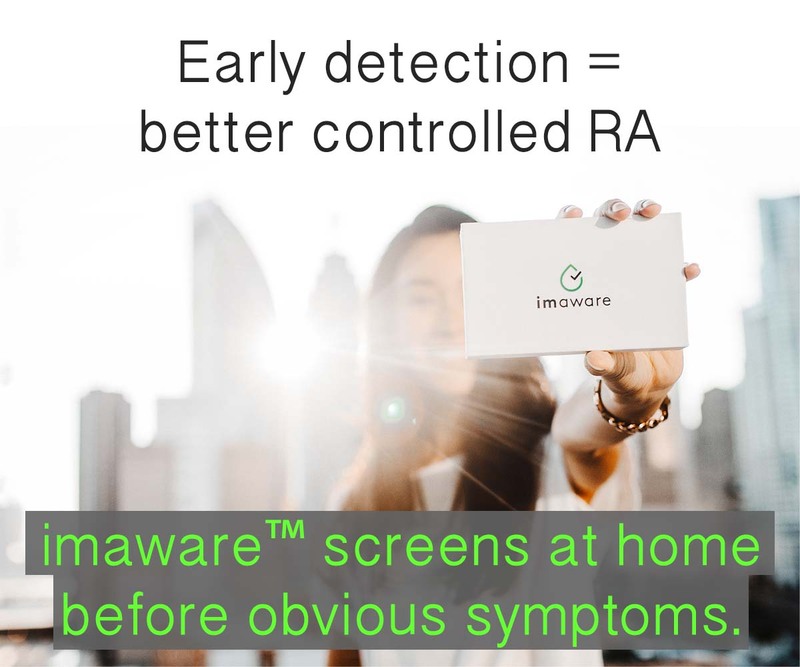 (Early RA / RD diagnosis is still elusive, unfortunately.) But now, PRD are often prescribed disease treatments only. Many claim patients are not supposed to need anything else. Pain is one of the five cardinal signs of inflammation. Pain is the body’s primary indicator of a problem. Pain has always been an obvious symptom of rheumatoid disease activity. However, for centuries there have been suspicions that those who suffer with RD exaggerate how much it hurts. We have discussed this problem many times, and its causes. We’ve debunked many myths. But it’s important to note this age-old dispute as a backdrop to current studies on pain in rheumatoid arthritis / disease. Pain is often the first sign to a patient that something is wrong. With injury, pain is meaningful; it tells you things like: “Take your hand away from that burner. Get some ice.” But pain without a harmful event is actually a signal of something worse. People with severe or long term RD learn to “ignore” pain because they have so much of it. By the time they see a doctor for diagnosis, pain is usually accompanied by other symptoms that are more detectable. Clinicians tend to rely on other symptoms (like swelling) because they cannot “see” pain, especially in a PRD with a high pain tolerance. When clinicians try to measure disease activity, pain is emphasized less than easier to evaluate blood tests. Still, pain will always be a sign to PRD and those who live them. What is Remaining Pain in Rheumatoid Arthritis / Disease? “Remaining pain” is a current term for joint pain PRD experience despite treatment with DMARDs like methotrexate. This term is used whether or not other symptoms such as swelling remain. Remaining pain studies suggest that the role of pain in Rheumatoid Arthritis / Disease is not as clear as it once was. 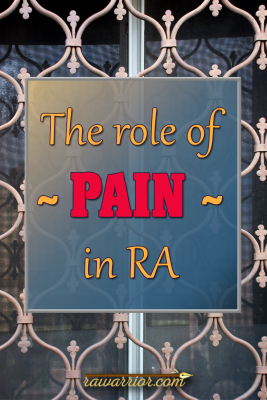 Stay tuned for a discussion of a popular study on remaining pain in Rheumatoid Arthritis / Disease. Don’t miss any of this fascinating discussion. 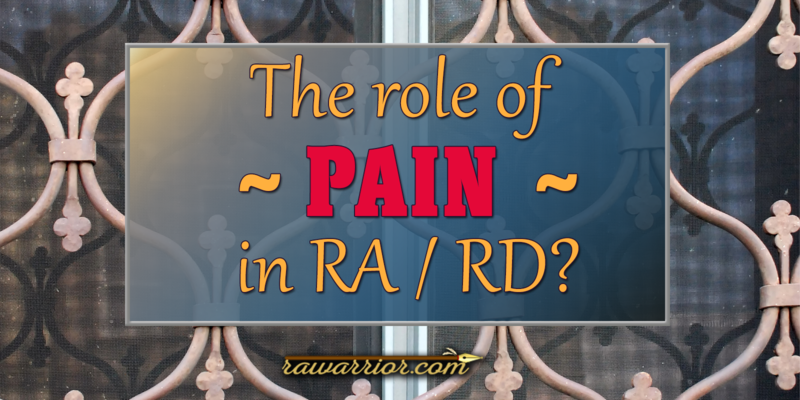 HAVE OTHERS DOUBTED HOW MUCH RA / RD HURTS? WHAT ROLE DOES PAIN PLAY? WHAT IS YOUR EXPERIENCE WITH REMAINING PAIN? Very good atticle. Eagerly awaiting the other parts. Good assesment, especially on the opioids. My pain management doc halved my pain meds just because of the new law. There are times that my hands are like baseball gloves, but don’t really hurt, and times when they are not swollen at all and feel like aching, burning hell on the ends of my arms. My worst pain is in my ankles, followed closely by my wrists. I have been told that the hands are the ONLY indicator of real pain- and that was by a Rheumy! It was all I could do not to knock that fool out in his office. Needless to say, he is no longer MY Rheumy, and I feel for the patients he has. all true. Ignoring pain is a form of survival. I take DMARDS and am in constant pain although significantly less pain than before DMARDS. My last rheumatologist declared I was having too much pain for the medication (DMARDS) I was taking – like I was making it up! Amazing. Why can’t they consider that perhaps the disease is not under control?!? I am not sure Elaine, but I have some ideas. The truth is clear because there are so many of us expressing similar situations. We need to make them see the truth. My rheumatologist dismissed the side effects of my medication as being “in my head” and basically dismissed my concerns. My pain management doctor told me my pain wasn’t that bad and the fibromyalgia I also have wasn’t even a diagnosis. I have struggled with this pain for awhile. So many doctors. So many medications. Why am I having so much trouble getting anyone to believe that my body aches all the time and sometimes feels like it is being smashed by a vice? What can I do to be taken more seriously? “What can I do to be taken more seriously?” …If I had a dollar for every patient who told me something like that, it would be enough money to help find a cure. I have some ideas but it’s not going to happen overnight. There are many misinformed doctors. I’ve thought a similar thing: it’s very much like someone is smashing my joints with a hammer as I sleep, except for when they use a sharper tool and drive it deeper with the hammer. I’m a former RN who is now a stay at home mom, and I also happen to have RD. 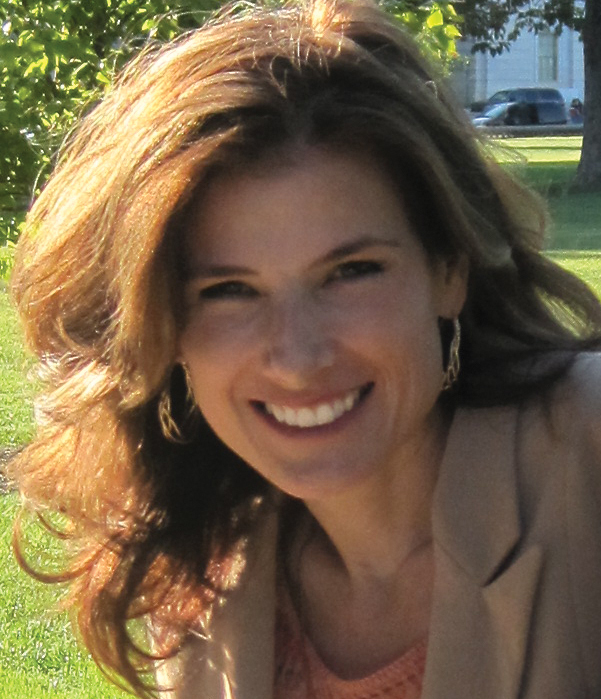 It’s my opinion, and has been for MANY years, that pain is grossly undertreated…not just in chronic pain patients, but even in treating post-surgical pain. I’m not sure why, because if you look at the studies out there and talk to pain management experts, you’ll discover that the vast majority of people who are prescribed opiates, either for short term post-surgical pain or injury, or for chronic pain, do NOT become addicted. It was already hard enough for chronic pain patients to be able to receive adequate management of their pain (in most cases, opioids), but with the new opioid guidelines, it is getting progressively worse. I don’t understand the current climate of only prescribing disease treating drugs, & completely ignoring any residual pain. It’s well known that the treatments available today for RD in the vast majority of cases do NOT bring about complete remission. RD is notoriously difficult to treat. And yet, we’re being told that we shouldn’t have pain if we’re receiving drugs to treat the disease. When I was in nursing school, I was taught that pain is what the patient says it is. It’s frustrating to deal with pain every single day with no relief. It’s cruel, and it’s inexcusable when we have medications to treat it. And it’s even worse to be treated like we’re lying or to just be dismissed or treated like a junkie when we say we still have pain. And for most of us, the pain is debilitating. I’m fortunate enough to have a PCP who will prescribe limited amounts of an opiod pain med for those times when I just can’t take the pain anymore, If I’m honest, there are times that I need it, but don’t take it, because I don’t want to run out & have severe pain & just be out of luck. She prescribes me a certain amount of pills to last 90 days, & Im totally afraid to run out & ask for more before the 90 days is ip, because I’m afraid of how my doctor will react. I’m afraid she’ll think I’m becoming addicted & refuse to prescribe it at all, even though I’ve never misused it, never taken more pills at a time than prescribed, or taken more often than prescribed. I often feel bad for those who have it worse than I do, whose pain is worse, & whose doctors won’t prescribe opiates at all. Being in constant pain with no relief is draining, physically and emotionally. It has a profound negative effect on mental health. I’m not saying that opioids are the only treatment out there for pain, or the first thing that should be prescribed. Many of us do use a variety of other measures to help control our pain that don’t involve opiod meds. But the simple and sad truth of the matter is that there are times when nothing else works. And I think it’s important to note that there’s a big difference between addiction and tolerance/physical dependence. Tolerance develops when our body gets used to a certain dose of opiod (so to speak) and it subsequently takes a higher dose to achieve the same pain relief. Physical dependence is when our bodies become used to functioning with a certain amount of drug, and when that drug is suddenly stopped, you have withdrawal symptoms. You don’t have to be addicted to a drug to experience withdrawal symptoms when you stop it suddenly. Addiction is a whole other beast. It’s not only a physical dependence, it’s a psychological dependence, it’s taking the drug for the high rather than pain relief, taking more than prescribed, or more often than prescribed, it’s finding ways to obtain the drug illegally when a doctor won’t prescribe it, it’s doctor shopping & using multiple pharmacies to be able to get more drug, it’s about doing just about anything you have to to get your hands on the drug. With the current heroin epidemic, I understand the concerns about opiate abuse in this country. But we can’t leave the people who have a legitimate need for pain relief in the form of opiate drugs to suffer for the rest of their lives, with no hope of relief. It’s cruel, & it has to stop, I don’t know what the answer is, but I do know that decisions about treatments, including opiates, should be between patient and doctor without interference from anyone else. Sorry for the rant, but this has been something I’ve felt very strongly about for a very long time. I have no desire to become an addict or to get high. All I want, and what most of us want, is to have my pain controlled well enough that I can live my life & take care of my husband & daughter. I’m not asking for no pain at all…that’s not realistic. I want to have my pain at level that allows me to do the things I need and want to do, the things that most of us take for granted. I don’t think that’s too much to ask. thank you Melissa. I think you speak for many others. I know what pain is. I have had surgery and endured post-op pain. The agony of post-op open lung biopsy from RD – induced interstitial pulmonary disease was one of the worst I have experienced. This means I have something to compare my daily RD pain to. I have spent the last 5 nights napping on and off because of shoulder RD related pain. If I did not have my opioid meds I really don’t know what I would be doing right now. I face each day praying to God to help me so I can brush my hair, fix my husband a sandwich, pick up my dog’s water bowl. Every time my husband asks me how I am doing I hold back tears and reply that I am a little bit better just so he won’t worry. Rheumatoid disease pain is real, is unimaginable to those that haven’t experienced it, and should be treated aggressively and compassionately. Opiods don’t make me feel euphoric or giddy with waves of warmth and happy. They make me nauseous and constipated and cause anxiety worrying about what the hell I am going to do if I run out as they are the ONLY brief relief I have. Wake up in my shoes one morning and tell me all you “experts’ out there what you think now. I pushed for Lodine in my RD chemistry set (as I call it). It is an NSAID that is specifically treats RD pain it works, too! My rheumy says that if you’re having pain, then damage is being done. His goal is no pain from the RA. While we haven’t arrived there yet, he definitled takes my pain seriously. He still won’t prescrib opiods, though. I agree with everyone. The pain from RD can be awful. I have run the gamut of treatments and am on my 6th biologic. Two I tried earlier this year gave me such side effects my RD doctor pulled me off right away. They tore up my stomach and gastro to a point where they thought I might need my gallbladder out. I am trying another since my RD has progressed to such a degree (going on 22 yrs). I am not whining, but RD pain is not “phantom” pain nor is it malingering. It is acute and recurrent. Sorry for the rant. I have a good PCP and RD doc that have worked to help me, but the pain makes simple things difficult. The newest issue for me this year is severe dry eye due to inflammation and it makes vision difficult. My eye doc says this is typical for people with RD and not necessarily a result of medication, but disease activity. I go every 3 months to have my eyes checked to ensure there are no issues. I have tried alternative methods to control the pain and they help to a point, but some days the pain is very bad and I will take medication to reduce it to a managable level. My hubby is doing a lot of reading and research on heart disease and RD and how intertwined they are and the impacts. Again, sorry for the rant. Thanks for being there! I call the residual pain “baseline pain” because it’s my “normal”. It’s just always there. I have had RD for 25 years & a flare is now my definition of true pain. Of course there is the random ankle/foot pain that arises for no reason & the lower back pain that causes a bit of agony but I consider myself lucky. I vividly recall the days of being unable to hold a toothbrush or open the car door. After years of methotrexate, prednisone, Enbrel, etc., the RD is pretty manageable but the knee replacements, Sjogrens, kidney damage (from ibuprofen) & hypothyroidism keep things interesting. I have great drs. but I can’t understand why pain relief is such an issue & why RD patients are not advised of the potential problems that come with this disease. It is so much more than swelling & pain. Kelly I love the conversation you’ve opened here, particularly Melissa’s very eloquent response. I thank the stars I’m in the UK where there’s not yet the media hysteria that exists in the US & Canada. My GP knows me and prescribes my pain meds happily alongside my dmards. She can do so here without the terrible cult that is forcing doctors across America to refuse to provide pain medication, leaving patients to pain management clinics where they are urine tested and treated like naughty children. To me it’s not only inhumane, but it means doctors are breaching the Hippocratic Oath – First do no harm. The trouble is while long term, the pain of RA isn’t chronic pain. It is acute pain that continues because of residual ongoing inflammation. Yet it is treated like post-event chronic pain. How to make them understand this?? Have not had others doubt my pain. My husband has been so empathetic. 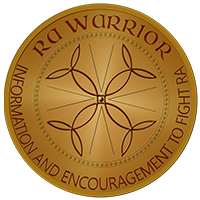 My only negative experience is when friends do not understand RA and say things like we all have more problems with arthritis as we get older. Pain plays a huge role in my life. I take Rituxin infusions and Leflunomide. Rituxin is the 7th biologic I have taken in 14 years. My hands are deformed, I have had one foot surgery and will have my right knee replaced in a couple if weeks. My doctor prescribes opioids which I take daily. I never take more than prescribed, but I still have a lot of pain remaining. I have only begun taking pain meds in the last two years. Prior to then I was able to get by with Naproxin daily. The damage to my joints from RA has caused chronic and excruiating daily pain and affects my life drastically. I pray the knee replacement will improve that to some degree. Thank you for your hard work, all the information you share and the opportunity to talk about our experience. It really helps. I am reading this article with an ice pack on my spine. Usually the ice packs are elsewhere. This week it is the spine. I take MTX injection–Rasuvo 27.5 mg a week. Thus far biologic have had no value. Doc just upped the DMARD. Discussed returning to daily dose of prednisone. Reminded him the eye doc noted pressure in left eye. I use the steroid sparingly when I MUST be at the top of game. pain relief or eyesight? Stick yo ice paks until a solution might be found. I understand. After losing 70% of my hair last year from meds and illness, and then getting it back.. and then losing about 50% again this summer from a big steroid shot, I said “no, I won’t get that shot again.” Hairloss was not the only steroid side effect for me, but when it got to the point again when I could not move after the last shot wore off, I got another one this week. The doctor said it was the right choice for me, even if I had to get a wig. Doc knows not being able to care for myself is not an option. I need to care for my son too. You have a hard row – to have to decide between eyesight and pain relief. And I just survive by ice packs. They are hateful but very effective. RA for past 20 + years, tried a few meds the doctor prescribed but couldn’t take the side affects. It runs in the family so when dad was suffering from RA I found out he was taking Methotrexate I told him to stop but it was too late and he ended up with cancer. No more severe RA pain but after surgery,chemo, a host of other damaging procedures like PET scans etc. he is hanging in there but his immune has suffered and now he is fighting skin cancer. He is 87 yrs old and my hero. I was surprised to see all the new treatments that on the market for RA, I just stumbled on this web site and have no intention of being a lab rat to see what works, long term side effects etc. They still are throwing what ever they can at patients to see what will stick. I’ve been on pain meds and Valium and plan to continues going the course until Mary Jane is legalized in my state as I hear goood things about pain mgmt. it’s sad that corporate lobbyists work to prevent natural drugs like opium offf the market. The only side effects are additve, constipation, nausea, and drowsiness. When my meds quit working I just stop for a day or two and they work fine. Even though my hands, knees, & elbows are disarticulated I am able to move and keep my heart beating. Best wishes to all that have to put up with this disease. Nail on the head once again Kelly! Sorry you are dealing with hair loss from the steroid shots. Its a huge emotional toll when having to trade off debilitating pain for side effects. My RA consultant and my GP doubt how much I am in pain, at most appointments they tell me ” you’re looking well , remind me why you need anti inflammatory and nerve pain meds”? I’m not convinced DMRDS do have an effect on RA pain …..I’ve been on them since 2011 and my pain has not stabilised or reduced in fact it has increased. My experience with remaining pain ? It’s constant in the joints I use the most , my fingers, hands, wrists, shoulders and knees. It varies from feelings of being stabbed with a knife, being burnt , and being given an injection or having blood taken by an inexperienced medical student – All day every day. I so agree with absolutely everything you said! I am also a RN. I had to retire on disability 11 years ago. I was 49! I also have type 1diabetes and most of my neck is fused. It is so difficult to get out of bed in the morning and face another day of pain, even though pain also wakes me routinely throughout the night. I am on opioids. Unfortunately, not enough to help during the night. It’s so frustrating! Hopefully something can be done. Ohio is crazy about the opioid epidemic, but what about chronic pain!! ? I stopped my arava because of the hair loss. The pain became totally unmanageable!! I felt like there wasn’t a reason to be here. I did start more stretching excercise a, even though that aggravates a lot of sites, but helps mentally. I started in half of the arava. Some hair has grown back, but still very very thin with bald spots. I guess a wig might be the way to go.